When your neighborhood has reached its launch date, the equipment is ready and we can begin processing orders and scheduling installations. 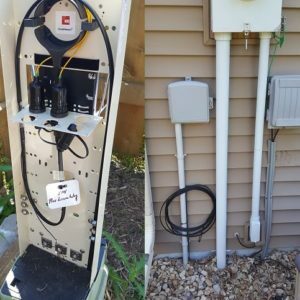 But, to enable your fiber-to-the-home connection, first we will need to place a buried or aerial fiber line from our fiber cabinet to your house. The good news is, we have been performing much of this work ahead of the launch dates to reduce the time it takes for your installation. Please know that you do NOT need to make an appointment or be home for our contractors to begin or complete this work. A sneak peek inside a pedestal. If there is an existing utility pole that delivers the electricity to your home, this is also how TDS Fiber will be connected. This is called an aerial installation. If the electricity to your home does not come from a utility pole, then the TDS Fiber line will be buried. 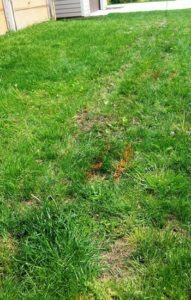 Buried fiber lines come from the green box or pedestal located within your home’s utility easement (usually your back yard). At first, the fiber line will be temporarily placed on your lawn but it will be buried within 7-10 business days—as long as the ground isn’t frozen. Burying services will stop in mid-November/when the ground freezes and will resume in May when the ground thaws. All of this said, sometimes installations have to be changed depending on the situation. For example, if there is a large area of blacktop or concrete between your home and nearest green box, then we may opt to use an aerial installation. 1. Outside contractors will identify and locate underground utilities on your property (if you’d like more information more about this process, please read the details below). After the locate happens, please mark any private underground equipment such as sprinklers or invisible fences. NOTE: If you have questions or need assistance with identifying private equipment, please email fibersupport@tds.net or call 1-844-216-6843. A trencher “zippering” in a fiber drop. 2. Our contractors will use trenching equipment to run the fiber line underground from our cabinet to your home. 3. 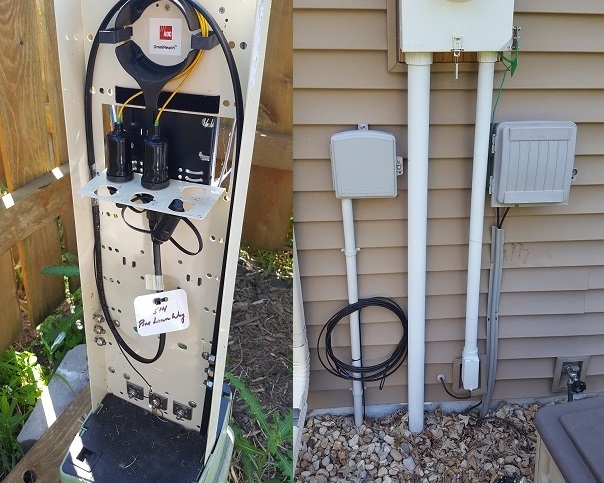 After the fiber line is run and buried, a fiber coil will be placed near existing facilities where we will connect to your home during the installation (in the top photo, right). 4. After this work is complete, contractors will restore any lawn and landscaping that was disturbed during construction (as we said before, between 7-10 business days). Wondering about scheduling your installation? When fiber services are ready to launch, you will be contacted to place an order if you haven’t done so already. An installation date will be scheduled to connect the fiber line to your home and set up equipment. 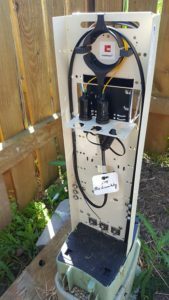 Section 182.0175 of the Wisconsin Statutes, establishes a “One Call” systems for locating underground utilities prior to excavation. In Wisconsin that is called the Diggers Hotline. Under Wisconsin law, the company owning transmission facilities (e.g., cable, gas, telephone, etc.) is responsible for marking those facilities within specified timelines. The requests for marking the facilities are made by the company planning to do excavation work. 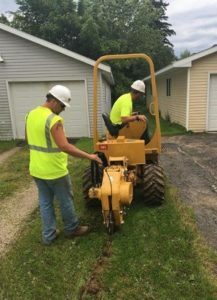 TDS requests marking of facilities for each address it plans to serve with fiber services, using the Diggers Hotline but it is the responsibility of the owners of those lines (Alliant Energy, Charter, Frontier, etc.) to properly mark them. If they fail to mark them appropriately, it is their responsibility to restore any damage that may occur. The Diggers Hotline website has additional information and Frequently Asked Questions about the importance of locating underground facilities.